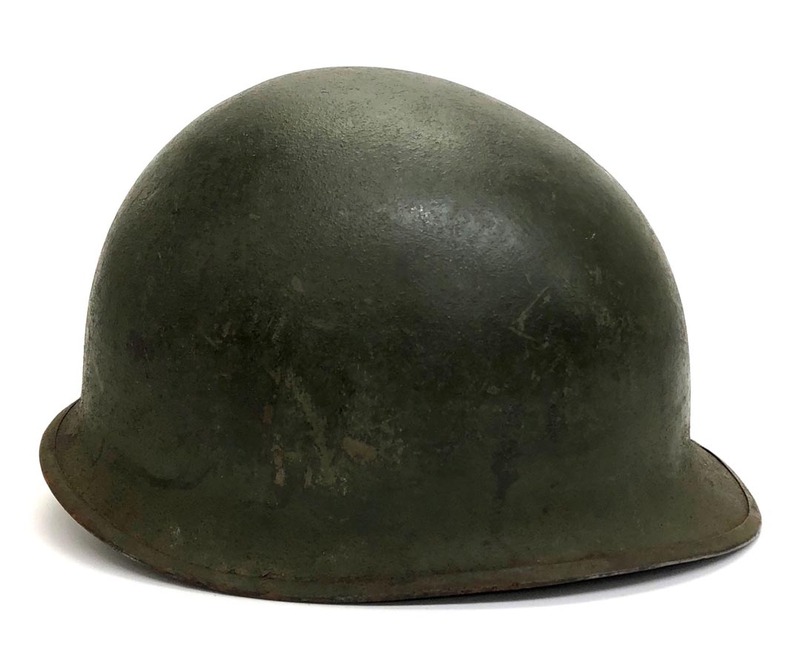 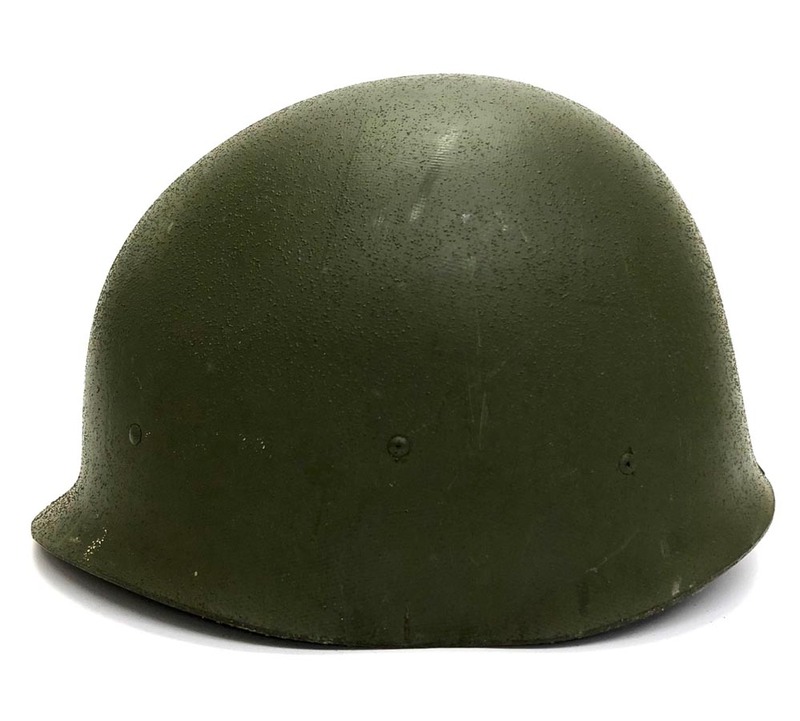 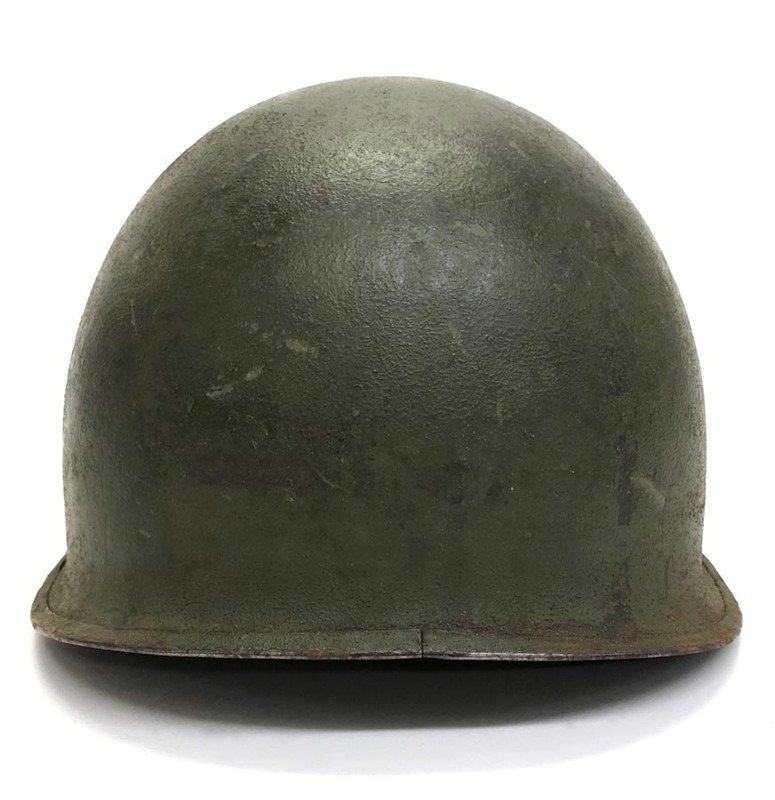 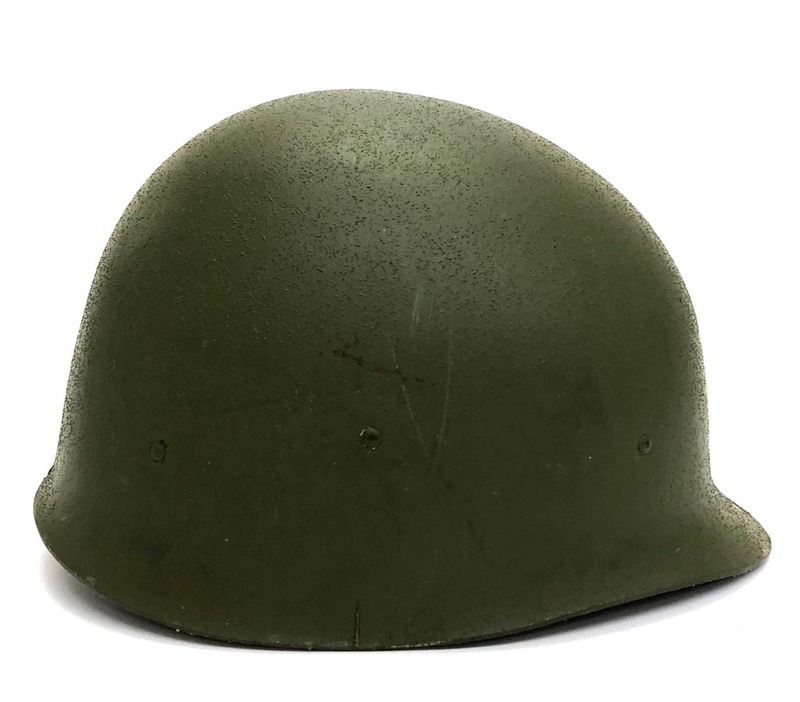 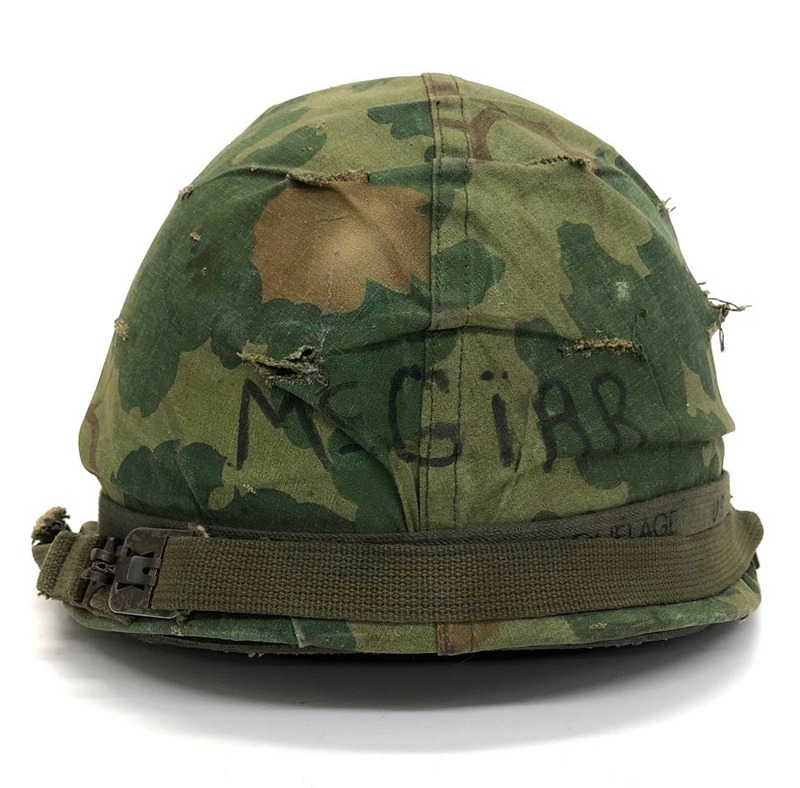 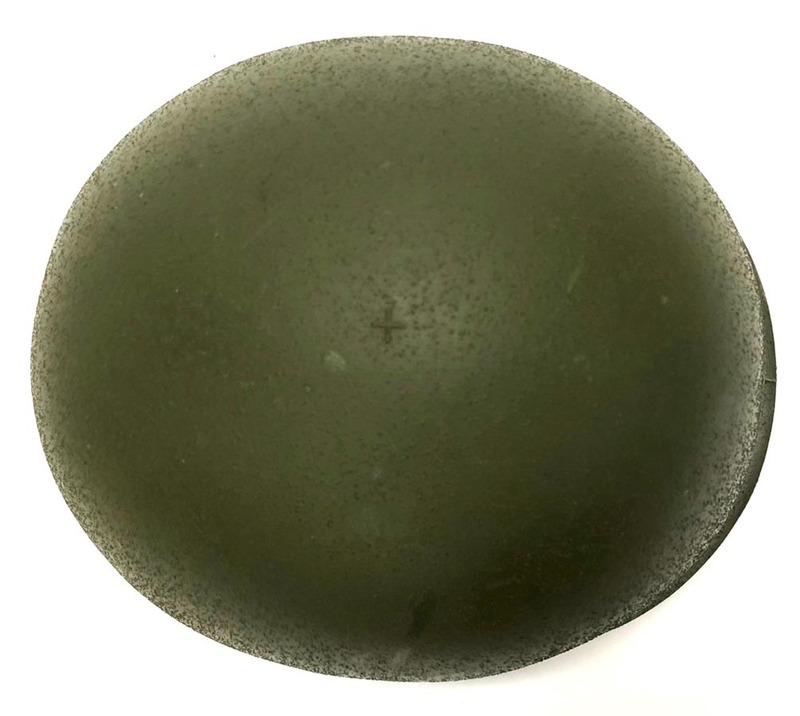 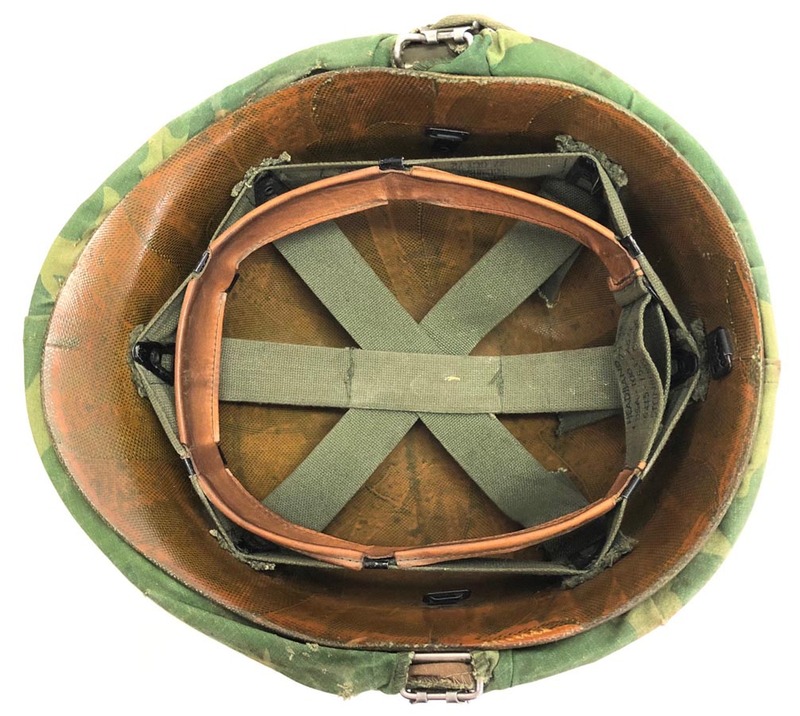 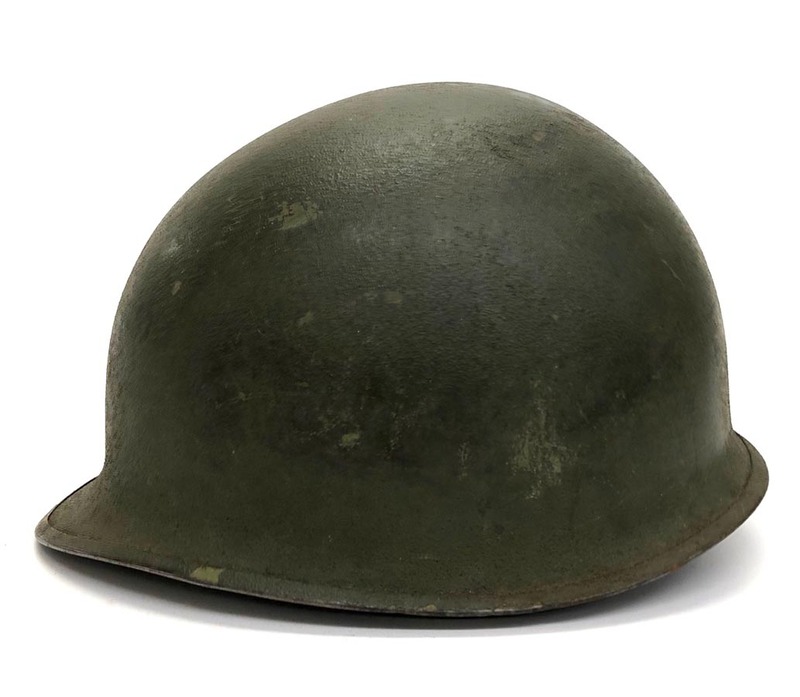 PHYSICAL DESCRIPTION: This Vietnam Era U.S. M1 Helmet with Camo cover is in nice condition showing some light wear. 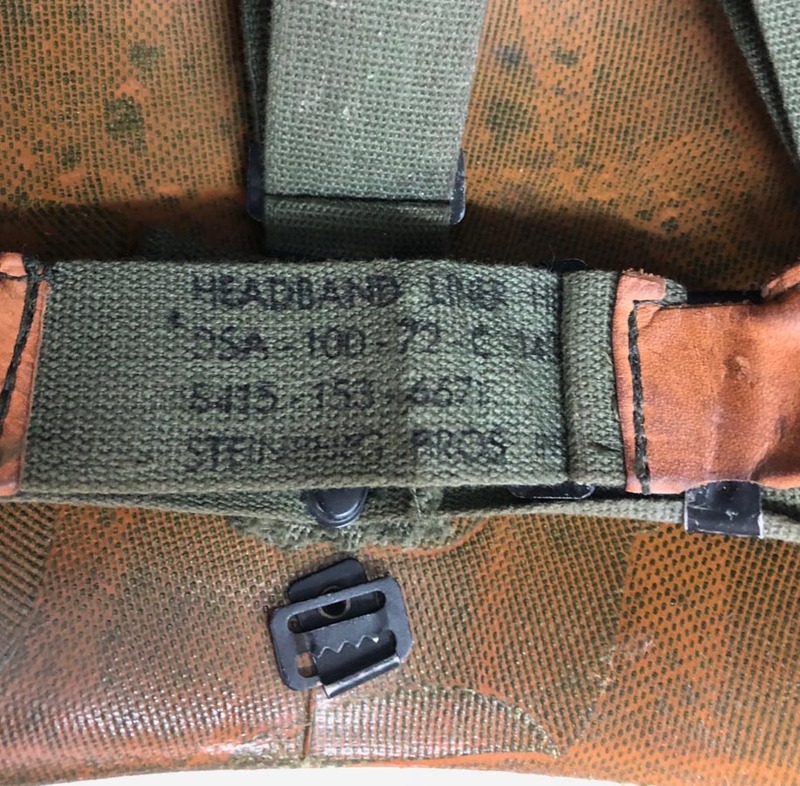 Camo cover is nice showing some wear with inked name. 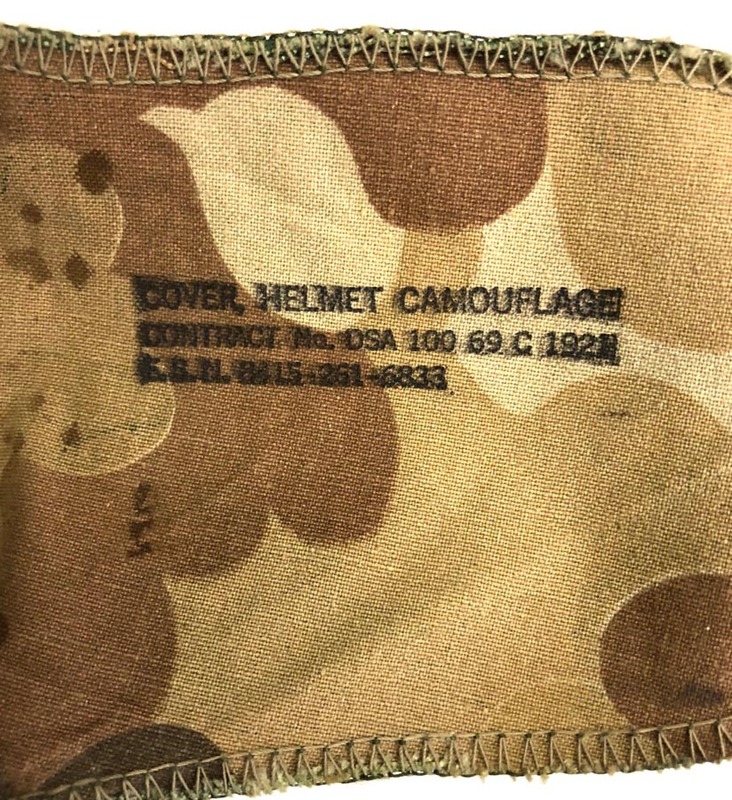 Cover is dated 1969. 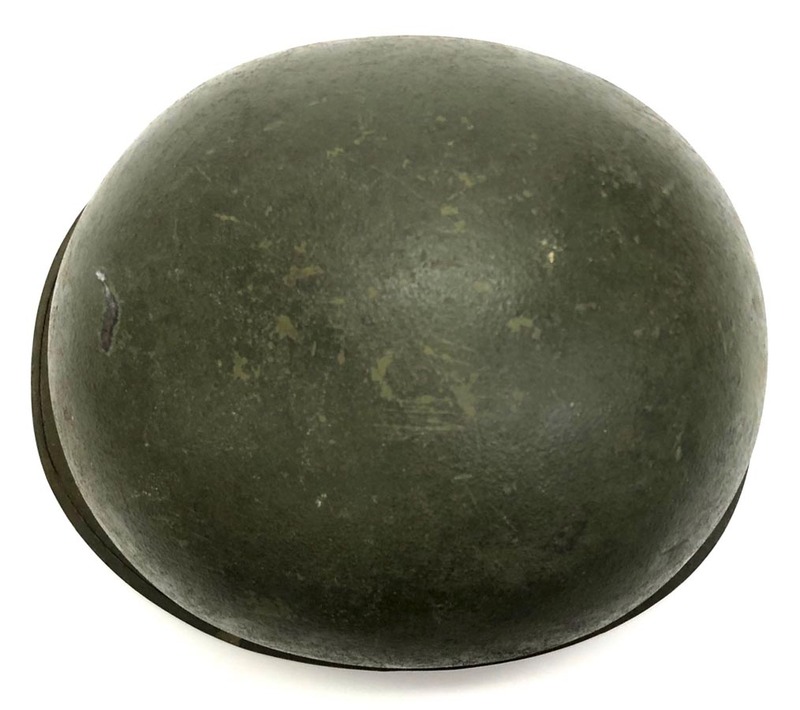 Shell is nice showing some wear with no dents. 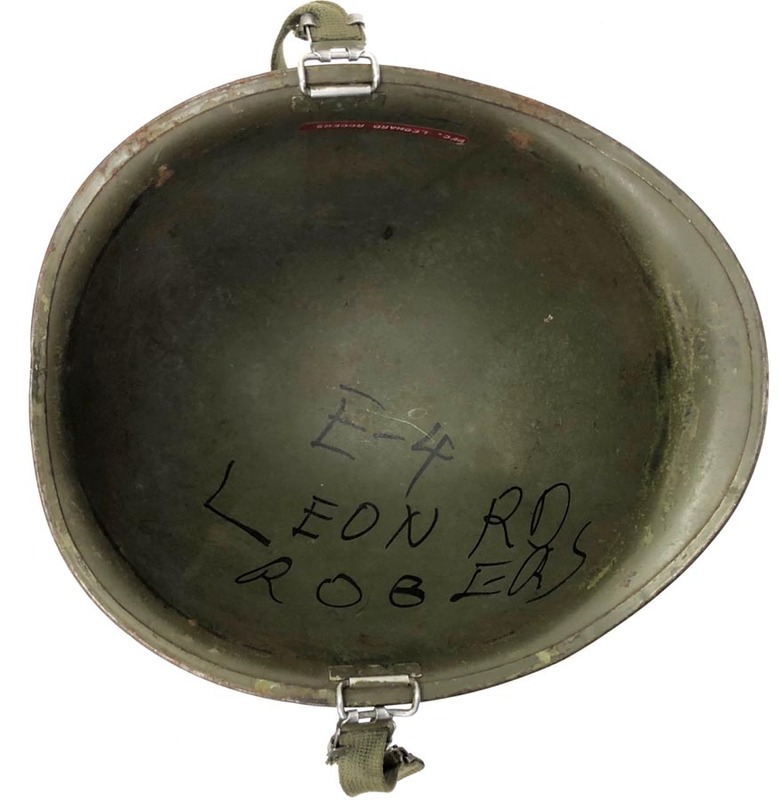 Shell has a name inked to inside area. 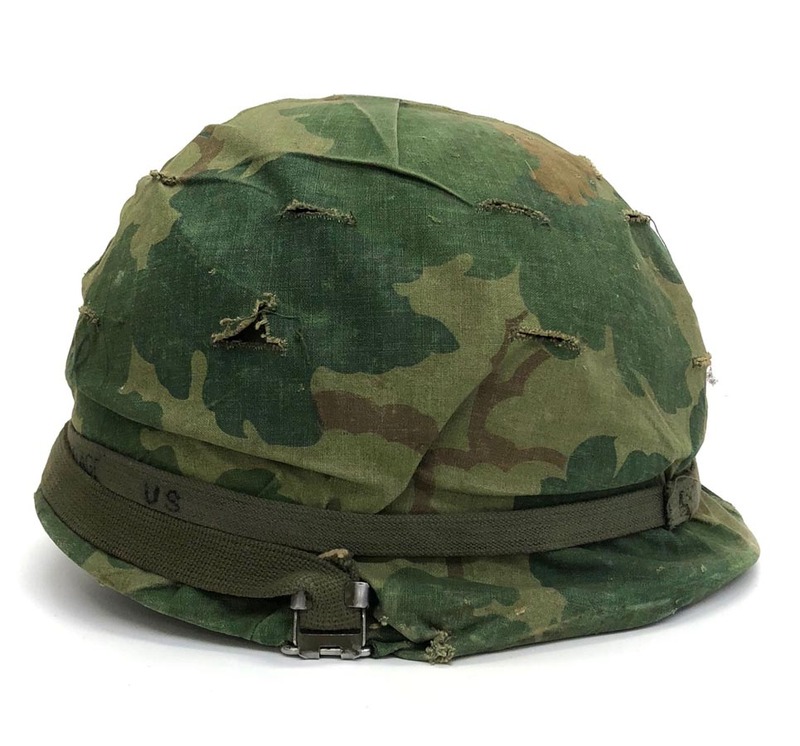 Chinstrap is all there and functions great. 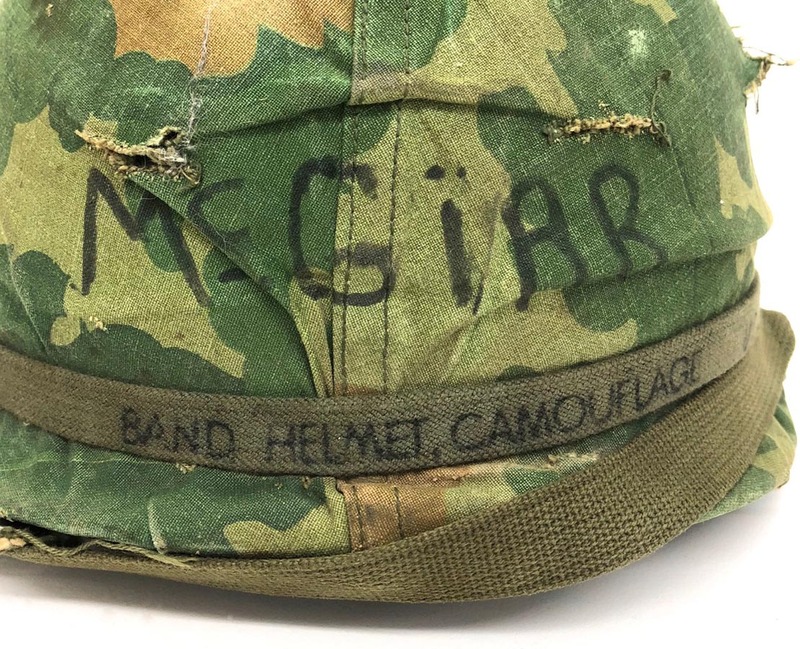 Helmet comes with the elastic camouflage helmet band. 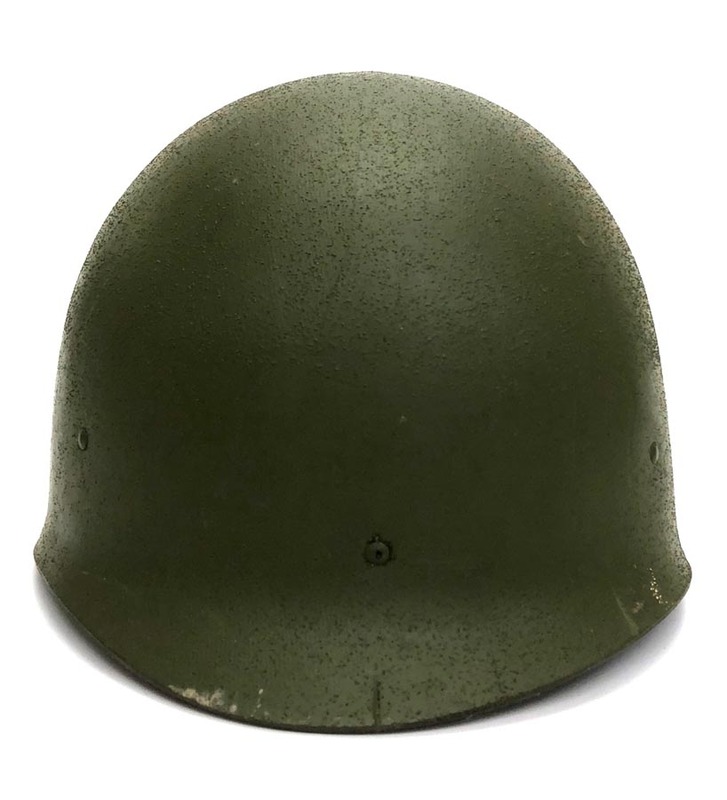 Helmet liner is in real nice condition retaining most of it's original paint. 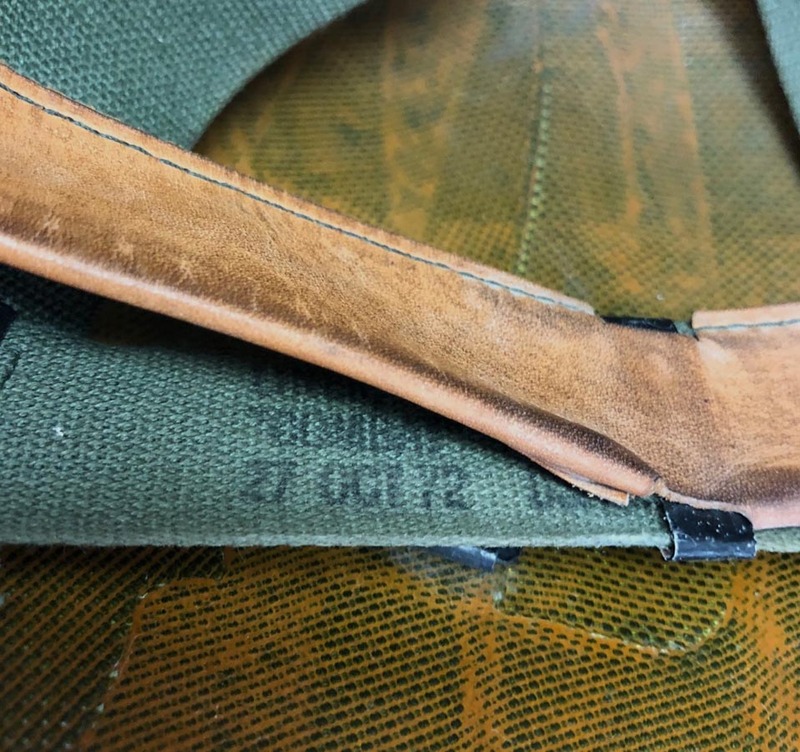 All webbing is nice and intact and is is dated 1972. 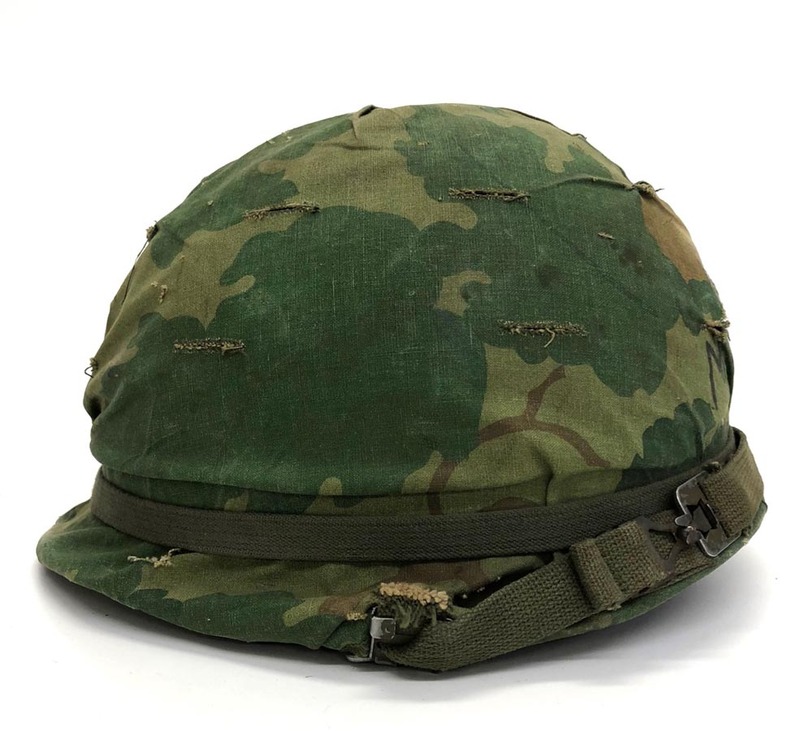 Leather sweatband is also very nice with no damage and also 1972 dated. 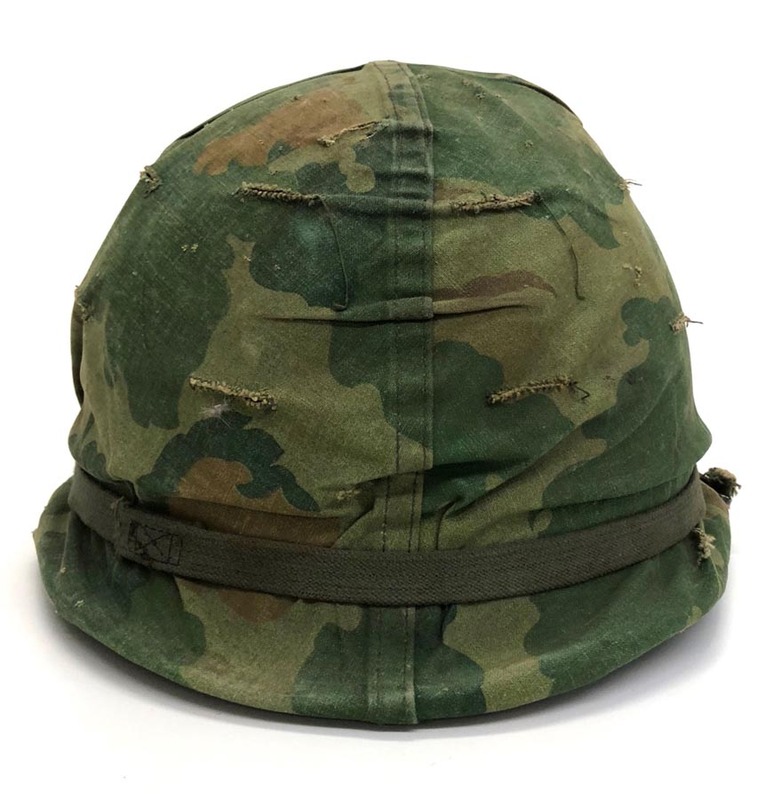 Nice overall example.